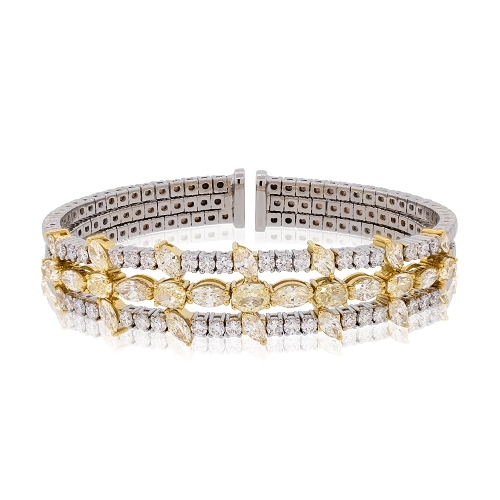 Brilliant yellow & white diamond three-row bangle set in 18k two-tone gold. Diamonds approx. 7.80ct.